The dramatic rich colour of the Red Dynasty Tulip will make a lasting impression in your mind. 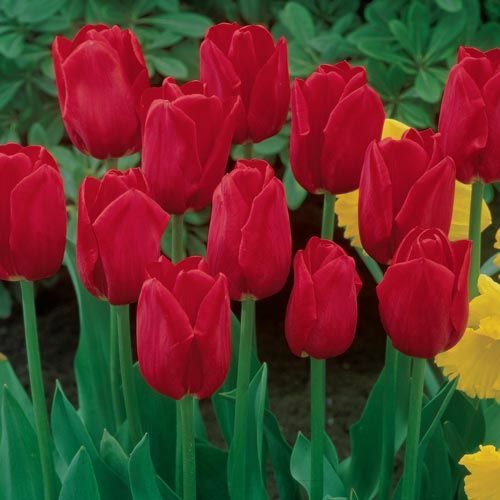 Looking forward to spring will have a new meaning as you anticipate the arrival of these showy, cup shaped 5-inch red impression tulip blossoms. 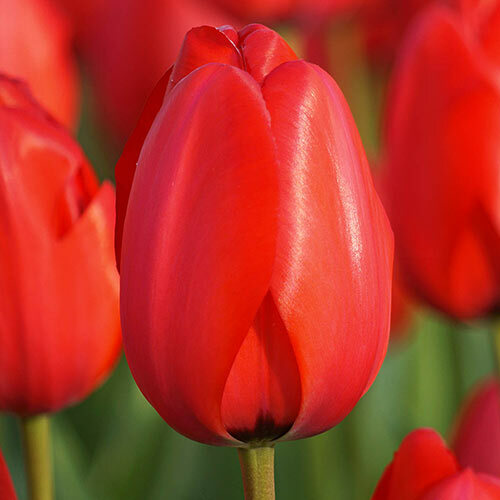 A classic Dutch flower, these long-stemmed tulips bloom in mid spring and grow to 24 inches in height, making them excellent for bouquets and arrangements. 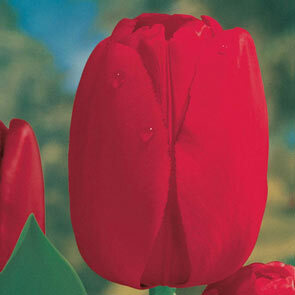 The red dynasty tulip is one of the the easiest variety of tulip to grow. Hardy in zones 3 to 8, they're sturdy and disease resistant. 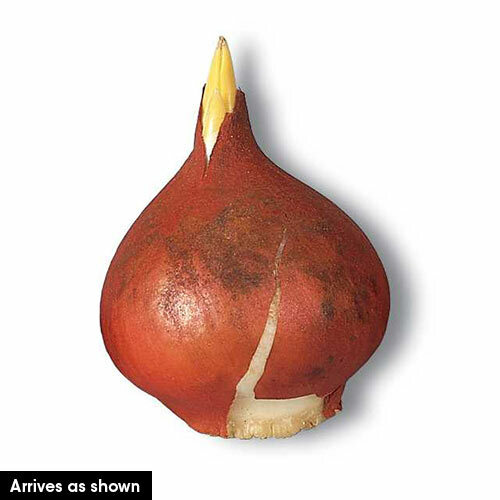 The red dynasty tulip thrives in full sun in well-drained clay, loamy or sandy soils. Plant these Dutch bulbs about 6 inches deep and between 3-6 inches apart for the best results. As the season wanes, remove spent flowers to prevent seeding. Blossoming tulips are always a welcome sign of spring. Add some dramatic colour to your landscape by planting the rich red dynasty tulip in clean rows along walkways or in cheerful clusters around focal points. Add pops of colour to patios and porches with container plantings, or use these tall beauties as a backdrop for shorter tulip varieties. 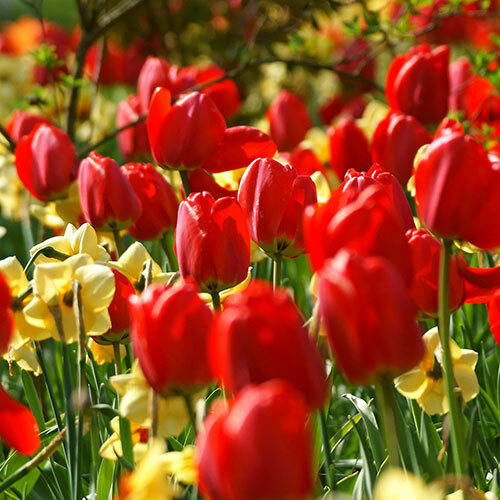 Enjoy the beauty of the red dynasty tulip in your spring garden. One of the tallest and strongest red tulips ever developed. You'll fall in love with this contemporary Dutch classic—our most popular red tulip for more than 50 years! Big, 5", bright red blooms sit atop extra-tall, sturdy stems in mid spring. This disease-resistant Darwinhybrid makes a spectacular showing not only in beds and borders, but also in cut-flower arrangements. It's sure to become everyone's favourite. Top-quality bulbs are individually selected by Breck's® professionals and packed in the heart of Holland's bulb-growing region. Flower Form 5" upright, double, bell or funnel shaped.